Jessie Golem, a photographer and PWB operations manager based in Hamilton, ON, is gaining attention both on social media and from Canadian news agencies with her new portrait series, #humansofbasicincome. The photo series is inspired by the Ontario Government's recent decision to cancel the Ontario Basic Income Pilot Project. Golem is one of 4,000 people affected by this sudden change. The pilot project, initiated by the former Liberal government, launched April 2017 to test if a basic income would better support vulnerable workers and improve health and education outcomes for people on low incomes. Single participants received $16,989 annually and $24,027 for couples, with a 50 per cent reduction if they earned income elsewhere. The project allowed many people like Golem to go back to school, care for family members, search for meaningful employment, or become more involved with volunteer work. "The Conservative Government has provided no information to any of the recipients of the BI pilot. No emails, no letters, nothing. People are terrified and confused and don't know if they will be getting payments or not. The government says they are going to wind down the program 'compassionately'; but this isn't compassionate," said Golem. Progressive Conservative Premier Doug Ford cancelled the project in July, despite promises to keep the program going throughout his election campaign. Golem has shared dozens of images to the series Twitter account, with hopes that her photographs give a face and a voice to the thousands of people this decision is affecting. "I believe in the power of amplifying stories, and the power of visual storytelling to create change. 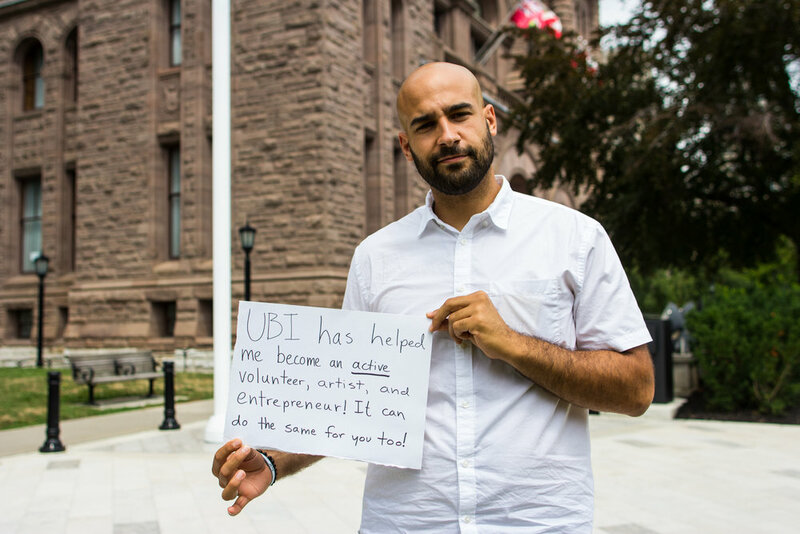 This is the motivation that inspired the Humans of Basic Income portrait series." You can learn more about the Humans of Basic Income portrait series at the Toronto Star, the Hamilton Spectator, and the CBC.